The Chorus of the Glasnevin Musical Society currently boasts over 60 members who range in age from 18 years to the more mature! The Society, since its foundation in 1958 has maintained its reputation as one of the leading musical groups on the Irish scene and as such is frequently in demand outside of their own events. Solo Irish Dancing classes starting back for boys and girls aged 4+ and adults! All levels of skill welcome! 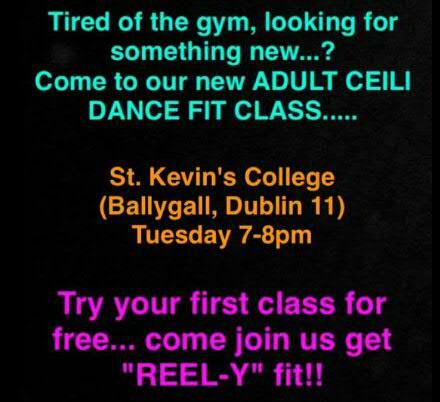 We also now have a very new ADULTS Ceili fitness class! This class will be a blast! Prepare to laugh your poodle socks off!! For further information, email us, call us, or comment on the Facebook page!